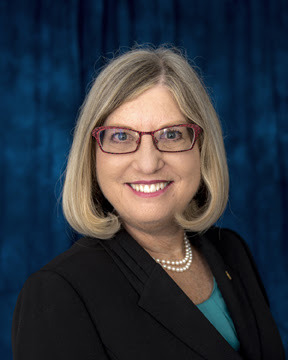 Ronnie Chantker joined The Rotary Club of Tysons Corner in January 2003, where she served as Treasurer, Vice President/Fundraising Chair, President Elect/Membership Chair, President and Rotary Foundation chair. On the District level she served as GSE Chair, Area Membership Coordinator, member of the Finance Committee, and an Assistant Governor for NE Fairfax County (Area 10). She is a Multiple Paul Harris Fellow, Paul Harris Society Member, Triple Crown Member and Benefactor. She was awarded The Club Builder Award and The Rotary Foundation District Service Award by the District. She is also a graduate of the Rotary Leadership Institute. She and her husband, Art, are Major Donors. After receiving her Accounting Degree from the University of Maryland University College she obtained her Certified Public Accounting (CPA) license and began working for an accounting firm. She now works with her husband as Chief Financial Officer for Potomac Forum, Ltd., an educational organization that provides training, workshops and conferences for government and government contractors at the executive level. Ronnie was born in Baltimore Maryland. After meeting her future husband, Art, at the University of Maryland, they settled in Potomac, Maryland. She has two daughters and two granddaughters.